A week or so ago now I finished reading World of Warcraft: Stormrage by Richard A. Knaak. It made me very cross. This is the second World of Warcraft novel I’ve read, the first being War Crimes by Christie Golden (which is fantastic by the way – you should definitely read it!) I have about an hour of travel for work each day, which is a great time to read. However reading in moving spaces gives me motion sickness, so I tend to “read” audio books. I’ve had a lot of success with this in the past – I did the whole Game of Thrones series, the Harry Potter series (read by Steven Fry) for the 10th time, The Hunger Games books and many others. They have all been great to listen to, and had a great way of giving a different perspective of the books. I have enjoyed them all. I started reading Stormrage because it was suggested reading for the new Legion expansion, given it takes place in the Emerald Dream. The main plot of the story follows Tyrande and Malfurion (and others) as they go in and out of the Emerald Dream to fight the Emerald Nightmare. And that’s about it. Story wise, it’s pretty thin. But that wasn’t my issue with the book. I had two main issues with this book that made it hard to get through (the other issues I could have dealt with). The first was the way the author introduced new characters. He had a habit of bringing people in to a scene by describing a person in the scene, then describing the scene, and the way the new character would enter it, and interact with the surroundings, then moving on to the way their clothes/hair/other features reacted to the scenery. The new character might then speak, and we’d hear about the tone of their voice, and then about how it made the first character feel, or what it reminded them of. This would continue on – back and forth between the two characters. Only after about 5 minutes of this would the name of the new character be revealed. And it was always as if it was a big deal. You could almost hear the dun dun DUNNN!!!!! in the background. This was done for every.single.character. It completely drove me up the wall and made it difficult to engage with the story. The other issue I had was with the narrator of the novel. Aside from the fact that at times it felt like he was trying to sound like Jack Nicholson, his pronunciation of some names was so far off that it became immensely frustrating. The pronunciation of Sylvanas was particularly infuriating, and one particular section had her name mentioned so many times I had to turn off the book in a rage. Perhaps my frustration with the writing style already had me cranky, but this was really infuriating for me. So overall, it was not the most enjoyable book for me. Has anyone else read it? What did you think? Am I just being a cranky cow? 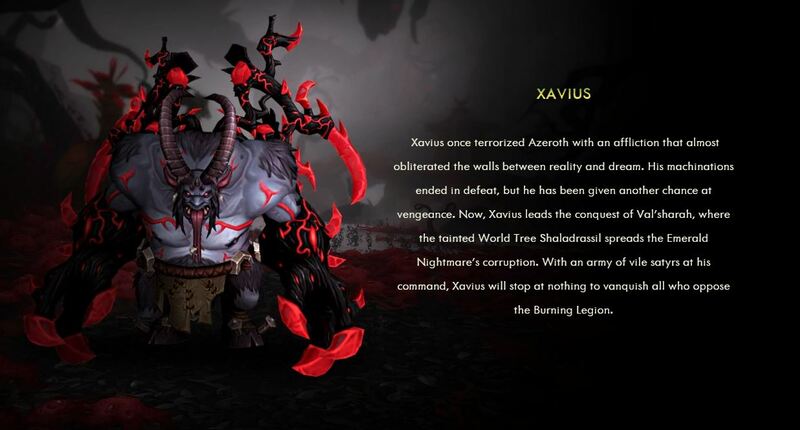 And how do you think the Nightmare will play out in Legion? ← Is the new Warcraft book announcement hinting to a Legion release date? The narrator is terrible, I’ve had to stop listening several times due to pronunciation issues. His “voice impersonations” also annoying, it’s been a hard to listen to book. yeah unfortunately I agree. I really hate being so negative about something someone has obviously worked hard on, but I didn’t enjoy that book. Though I suppose I disliked it even more because of how much I dislike Malfurion.